Larry Brown has amassed 1,010 wins over 23 seasons. The Charlotte Bobcats today named Larry Brown as the third head coach in franchise history. Brown, who was enshrined in the Naismith Memorial Basketball Hall of Fame in 2002, brings 23 years of NBA head coaching experience to the Bobcats. “Few coaches in this league carry the type of basketball resume that Larry Brown offers. He is one of the great coaches of our game and we are pleased to have him as part of our organization,” Bobcats Managing Member of Basketball Operations Michael Jordan said. The fifth-winningest coach in NBA history with 1,010 career victories, Brown has led his teams to 17 playoff appearances, eight 50-win seasons, seven division titles, three conference championships and one NBA Championship with the Detroit Pistons in 2003-04. Brown also led the University of Kansas to an NCAA title in 1987-88, listing him as the only head coach ever to win both an NCAA title and an NBA Championship. Brown was named NBA Coach of the Year in 2000-01 after leading the Philadelphia 76ers to a 56-26 regular-season record and a berth in the NBA Finals. He was also named ABA Coach of the Year three times – once with the Carolina Cougars (1972-73) and twice with the Denver Nuggets (1974-75, 1975-76) – in his four seasons in the league. He began his career in 1972-73 in the ABA, where he coached Carolina for two seasons before taking the helm in Denver for two seasons. He continued with the Nuggets following their move to the NBA for the 1976-77 season, and he has since served as head coach of the New Jersey Nets, San Antonio Spurs, Los Angeles Clippers, Indiana Pacers, Philadelphia 76ers, Detroit Pistons and New York Knicks. In addition, Brown spent seven seasons on the collegiate level, two at UCLA and five at Kansas. Brown also served as head coach of the U.S. Olympic team in 2004 and was an assistant coach for the 1980 team and for the 2000 team that won a Gold Medal in Sydney. Winning a Gold Medal as a player on the 1964 U.S. team, he is the only male basketball participant to both play and serve as head coach for the U.S. Olympic team. No stranger to North Carolina basketball fans, Brown played collegiately at the University of North Carolina from 1959-63 and served as an assistant coach at UNC from 1965-67 before returning to the Carolinas to coach the Cougars from 1972-74. “Having played and coached in North Carolina I understand the rich history of the sport in this state. I look forward to the opportunity to continue building the Charlotte Bobcats into a significant part of that tradition,” Brown said. I think it was a good move to get an experienced proven coach for the bobcats. However, I thing Sam did a good job as a first year coach. But I also think the Bobcats needed to do something to make them a winning team. I believe we have great personell on the team, we may just need one or two more key players to become a championship bound team. Great Job Guys! Nice Pick Up! Lets Get Some Wins Now! Good hire. A veteran coach who has championship experience. The UNC ties may help bring in fans, even though I am not a UNC alum. Winning would be a better way to ensure fans watch the games. I think it's a great hire, we shoulda' made the playoffs this past year and with LB we definitely should this season. I look forward to many great wins with LB. I think its great that Larry Brown is the new coach of the Bobcats. He is gonna a be a great impact for this team and the Bobcats might have a chance in the playoffs this year. The coach/point gaurd combination of larry brown/raymond felton is going to transform the bobcats from a group of young talented players into a young team that plays the game with the sole purpose of a victory. The bobcats franchise like the pistons and the sixers before them will be blueprinted for victory by larry brown. great pick up at the coaching position. but we should of waited to see if we could possibly get D'antoni. his coachiing style fits are team perfect; with putting wallace at the four and Emeka at five we could run like the old suns with marion. over all good pick up, but lets not let up and not go in the off-season strong... bring some great supporting characters in and address the need of a great big, which we need. due to this playoff we see that role players and bench players play a huge role; so the fact to have players that even coming off the bench can start on any team is never bad. remember competition brings the best out of people. P.S. we also need to address a back up point guard as well because although we have Earl he is getting older and now is a good time to bring that future back up point guard in and get use to the team, the way we play, and of course to also help us out in the stretch later in the season. Ah, he'll be gone in 2 years if they're not winning or he'll cause dissension in the front office and blame everyone but himself. He's a great coach, no doubt about that, but as the old motto goes "When the going gets tough, Larry gets to going!" Great hire! Someone with experience and knowledge to lead a young team. Just trust him to do what is in our best interests. I think Larry Brown will fit at the bobcats organization because he is the type of a basketball coach that doesnt need a star player or a franchise player to win basketball, he just need good players that are coachable and respect the game that he/we love and bobcats have players like that. LarryBrown+charlottebobcats=playoffs. 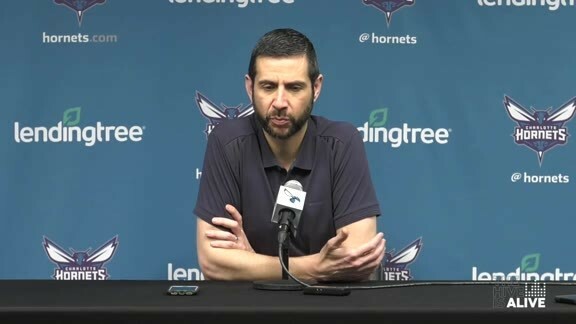 Bobcats needed a great coach and im glad we got one it's about time, now we can have a real starting five on the court. and a chance to at least make it to the playoffs. Larry was a joy to have with the sixers organization. I believe if you bobcats fans are patient this will get turned around very soon. I think the move by the bobcats to bring in Larry Brown was a good one but they need good players on that team to have a good season they need a playmaker not RJ he's not that good but a strong player to lead the team and make the players around him better like kobe has doen with the lakers this season. good move but they need playmakers or just good players or they will not have a good season. 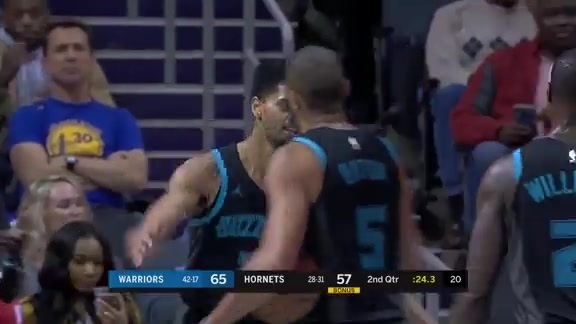 The Bobcats have seemed to lack this since of veteran leadership in their organization, hopefully the addition of Brown will let them be able to become not only a more mature team. But a more experienced front office and bench from a coaching perspective. They have all the pieces of the puzzle now, it is only a matter of time before they break lose and make the playoffs and become a real contender. Not only will he lead the franchise to its first playoffs, but will make J-Rich the MVP of the league next year! I hope you do a good job starting on next season helping the bobcats go to the playoffs. This is a good news for the team and the entire NBA. I was hopping that Larry would be the next Toronto Raptors head coach. Well, that won't happen for at least another year. Nice move all in all bringing together Michael Jordan and Larry Brown can make a phenomenal positive change to the team.What player now would not want to become a part of this franchise. My prayers has come true! I know Larry can bring this team to the next level! I think the only way it works is if you give Larry Brown the control to bring in the type of players he wants. I can't imagine them giving up Okafor. First see if he's coachable...see if you can turn him into the player he's capable of i.e. Hedo Turkalo. Teams hurt players by comparing this player with another. They need to tap into his talents, not be like Mike...Larry Brown has had success, personally I think his time has passed...does he have the energy, the desire to wait a year or two? Everyone knows Brown's history, he's impatient, and he clashes with Management. i personally think this is a great step for the franchise, playoffs here we come. Finally they got a coach!! Just bring in a big man to help out J Rich and Felton!! The Bobcats really scored a jackpot by getting Larry Brown! alot of games next season.Can't wait. Byron Scott and Doc Rivers are the most successful coaches in the NBA, they're young, former players from the 80-90's. We could also name Reggie Theus and Maurice Cheecks and Nate McMillan as successful young coach. And here are the Bobcats who are taking two steps backwards with an old 'Pat Riley-like' coach who will fail just like Riley did this year with the Heat. Vincent was maybe not the best candidate, but at least he had some improvement ahead of him. Larry Brown has no future as a winning coach in this league. The Question is will the he play a rookie?????? This is exactly what the Bobcats needed. A veteran coach. You cant put a rookie head coach with such a long time. This should have happened with someone like Paul Silas last year but now I think the wait will be well worth it! Larry Brown is the man!!! yess!! das wut im talkin bout! now we can make a play-off run because we've had the talent jus needed a coach and i believe we've found the right one. I think that making Larry Brown the Bobcats coach will go a long way. Larry knows the game inside and out and will mold Ray Felton into a great point guard as he has done with many NBA point guards and he will insure that that very talented team in Cahrlotte plays the right way. I can see them in the playoffs next year. Brown is a great coach and one of the most respective coach ofcourse. i believe in his capabilities and i love the way he cary the team and how he motivate his players. Good luck to bobcats they will make next season thats for sure. now the Charlotte Bobcats can "play the right way" too. I think Larry Brown is just an amazing coach: look at what he's done in his career, especially with the Sixers and the Pistons. The very one issue is: the Bobcats are a young franchise and a young team with many rookies, and as you know Coach Brown does not appreciate rookies really much. So, though i love coach Brown, I don't know if he's the right man in the right place. Anyway...go Bobcats go!!! I think this is a good chance for the Bobcats to stand for the playoff for the '09 season. I feel happy for Jason Richardson. THANK YOU!finally we have a great coach. Next year with Brown's help we should make the playoffs. A high draft pick and good free agent sighing should give us 40 to 48 wins. I would have preferred a younger coach who brings a "new" attitude to coaching young talented playerss. Although Cach Brown brings a winning record, he has not done well recently relating to players of today. His style of coaching is no longer an antedote to success. Good Luck. I think this is a better move for the Charlotte Bobcats. For this change may bring to playoffs next season or even play for the championship. Anyway, I hope someday they would win a championship. I have hopes for this team and I believe in them. Especially to MJ23 I always believe in you. I think Coach Brown is one of the best coaches. He lead the Pistons to a NBA Championship and the new season to a NBA Finals. He had accomplished a NCAA Championship and an NBA Championship. THe trouble he got in NY isnt his fault the players didnt connect with him. the Bobcats players got to be smarter than the Knicks. They must to take advantage of this coach. He will show you the way to a Championship. Best luck for the Bobcats. I know coach Brown has a vast amount of basketball knowledge at his finger tips, but at his age,health condition it is best for him to be backstage guiding the young and inexperience coaches in the NBA league today.He does'nt have it anymore to guide the Bobcats to the level that MJ is looking for. I think that this is a an excellence move for the Bobcats. It was imperative that we got a playoff coach that can take us over hump and make us a true playoff contender. Now all we need is a another, dominant big man. This is a great hire! It's just what we need to ignight the fire we had in Charlotte 20 years ago. Coach Brown brings experience and a winning attitude that the players will respect. I can't wait for next season! Aside from Phil Jackson and Gregg Popovich, there is no better living coach than Larry Brown. How could this selection be wrong. Furthermore, his strict style gels well with the types of Okafor, who had a similar coach in Jim Calhoun in his college days at the University of Connecticut. LB is one of the best ever. And all he wants to do is make the players the best they can be. If they listen and come together, NOT like my Knicks. Bobcats will be winners. They are a playoff team next yr, guaranteed. With a high pick this yr. And the players u already have here. I wish LB and the Bobcats success. Cause Larry Brown is what the NBA is all about. The best sport in the world. I think Bobcats and Jordan made great deal by hiring Larry Brown for coaching job. As a New Yorker, we had same opportunity but because of Thomas we lost him. Now Thomas is out as well, I certainly like enthuasism of Brown when he is on court. He is one of the best coaches in NBA. Hope under Brown mentorship Bobcats will be next champ. These are great news. Larry is a greeeat coach. Expect the Bobcats to win above 41 games next year. Maybe now you will bring back Walter Herrmann. It was tragic that you let him go. I predicted that this match-up would and should take place 3.5 years ago, jhust ask my friends (smile). Young team which is what Larry does best. I had him when he was in Detroit a few years back. Larry has the respect of all players in this league and I can assure you he will make an impact in Charlotte. I will be watching the Bobcats for a while! awesome! brown will take this team where it needs to go. with many good building blocks in wallace, okafor, felton, richardson, morrison and may(if the dude ever gets healthy) the bobcats will be a team on the rise with brown guiding them. all they need now is to offload the guard heavy roster(boykins, anderson, carrol (trade dudley or morrison as well when you're at it)) for a legit bigman and bobcats are playoff bound for sure! Good move in my opinion. Proven coach with an emphasis on defense. This is what the Bobcats excel at. Gerald Wallace and Emeka Okafor. Enough Said. Great move for the Bobcats. We needed an experienced head coach, and that's what we got in Larry. I would have loved to see Paul Silas as our next coach, but I can't argue against the hiring of Larry Brown. As others said, we do need to improve our frontcourt, and hopefully Bob will be flexible with his money. Let's sit back and enjoy watching our 'Cats grow as a championship-contender team. the bobcats will rise in the next season. This is a great move. Larry Brown is one of the greatest coaches. EVER. Do I expect him to bring a championship to Charlotte? No. But he doesn't just get teams to win games, he can change the whole attitude of a franchise. That is what Charlotte needs from him. I'm very happy to see this and I'm not even a Bobcats fan. This is the best move the Bobcats have made since coming into the league. CONGRATS Bobcats on changing your franchise. It was a excellent decision for having coach brown in bobcat and I would like to see Allen Iverson wearing bobcat jersey. I think coach Larry brown is the missing piece to this organization. With his addition he can turn the bobcats to championship contender. I like his style of coaching. I wish him all th best!! Larry Brown is a perfect choice for the Bobcats. 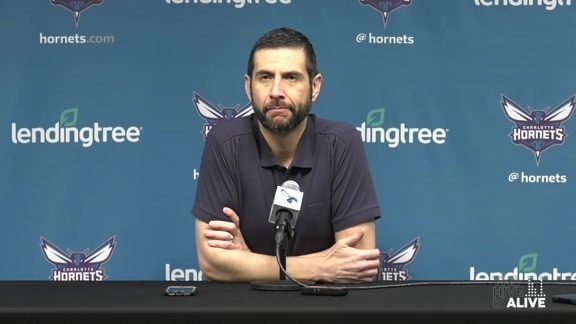 I have a lot of respect for him - he has succeeded time and time again, and I have complete confidence that he can get Charlotte into the playoffs. He is one of the best coaches in history, coaching a team with a lot of potential. The Bobcats will finally achieve the results they deserve. Charlotte Fans please don't get your hopes too high now!!! We are talking about a head coach that most of the places he's been actually clashed with the teams best player. He did in Indiana with Reggie Miller, in Philadelphia with Allen Iverson, and with Stephon Marbury in New York. In addition, he's clashed with the teams General Managers and owners. Brown had feuds with Pistons Dumars/owner and Knicks Thomas/Dolan. His inability no not play young players also will hurt his chances of succeding in Charlotte. Make no mistake about it he is a great coach but this is not a good fit for him and the team. I predict he will make the life miserable for the young players in trying to trade for veteran players. i think that larry brown should bring a championchip to charlotte ? Nice move, The bobcats should make the playoffs next season, but cmon really, the Bobcats need to trade Emeka and some other pieces and get a Franchise type player. Okafor is going anywhere, he doent seem to be developing at all. There is so much attitude involved when it comes to LB....hope it gets straight with bobcats !! I think Bobcats need a good point guard like Jason Kidd,so i hope success for Brown new coach.Peace yoo. This is a great hire because all of the Bobcats players are roll players. None appear to want to be "the guy" and Larry loves working with a team like that. Think of the Detroit Pistons when he coached them. At that time none of them wanted to be "the guy" and Larry was able to take them to two NBA Finals. I am not saying that the Bobcats are going to the Finals anytime soon, but it is not crazy to think they will make the playoffs and perhaps win a round. I think it was a good move to let Sam go. There is far too much talent on this team to go 32-50. Hiring Larry Brown is by far the best move MJ has made. He will be a great teacher to all the young players on this team. I just hope he sticks around for a couple years and helps this team reach its potential. larry brown is a good coach with a good history.but because i his medical conditions and age he could either be a great help or a liability.he can bring a bad team to a great one like he did to detroit.now they are a force in the nba each season. Look out for the bobcaaaaaaaaaats! I think that the bobcats need to get some quality players that have winning attittude,Coach Brown will do his best to help tha bobcats to win but without quality players in the lineup i think next season will be a losing season again. GREAT MOVE ? Oh Yeah. I am a Knicks fan but I think Larry is one of the best coaches in NBA. With Larry Brown as the coach You are now PLAYOFF contenders. GOOD LUCK !!! In couple years, you will see him get another coach-o-t-y title.